The dream of all parents irrespective of the geographical location they find themselves-is to see their children do well in their education in order to guarantee their academic progression in life. Create a school-like playing environment for the child. Yes, gone are the days when everything we need in the school are provided in abundance to the extent that we even brought some of the things we use in the school home, for us to play with. Every child wants a school like environment in the home for practical practice and to satisfy their insatiable curiosity. Curiosity is the tool that will facilitate the child’s learning process and enhance his or her comprehension of what they have been thought at school. Your kids would not stop playing with objects such as toys with different shapes and color as well as colorful reading materials until he or she fulfills all requirements relevant to the growing age. If this stage pass without the child discovery things for him or herself, it will definitely affect their learning and academic progression in education. If your kid fails to destroy, dismantle, disorganize and break things around, then something definitely must be wrong somewhere. Your child mental faculty comes to play when he or she is allowed to play around her immediate environment beyond the school environment. Do you know that your child spends more time at home than at school? Think about that and help him or her develops the right mental faculty formulation for learning in the future. That is the more reason why parents must create a friendly school-like environment in the home. The reality is that the time allocated to the various school subjects as enshrined in the school curriculum are limited and your child may not have enough time to practice and play with what have been taught in the school. Try and use the corner or the porch to create that school-like home environment for your child. Add coloring books, toes, story books on various subject disciplines, picture books, maps and some exercise books. 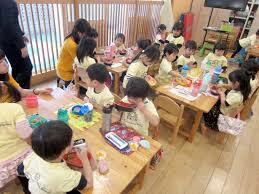 Assist your child to draw a home time table to guide him or her to utilize the time profitably. Children always want to hear their mum or dad tells them their own fairytale from their own mouth. In fact, children get excited about this and always look forward for dad or mum to tell them a story. Even if you are not good in storytelling, create one from your childhood time to tell them. Remember what happens at your first day in school, how that bully was punished in the class for the excitement of everybody or a story you have read some years ago or told by a friend. You can always get something to tell your children if you so wish. Storytelling and reading to your children motivate them to want to do the same. It facilitates the acquisition of literary skills and improves the child’s performance in other subject areas. I don’t know your work schedule, but try to find an hour during the weekend to do so. In my case, I use Saturdays and Sundays to tell the children a story and or read a favorite story to them. After reading a story to your child or children, ask them to identify some of the characters in the story and what they have learn in the story. When you do this at the early stage, they will grow to love comprehension and English Literature. In fact, if your kids can comprehend a story and narrate the story and the roles played by various characters in the story, you should be excited of seeing future scholars in the family. Yes indeed, your child will be happy to introduce their friends they have been playing with at school. Surprise them to play around and occasionally take part in the activity. Your child can’t live like an island and you should give him or her the opportunity to interact with other children in the neighborhood. Don’t be over protective and deny your child the opportunity from learning something positive from their neighborhood friend. Asking your child’s friends to come and play with them, will also give you the opportunity to learn about the type of children your child play with at school. Your duty is to guide them in the course of their visit. Don’t be scared but be proactive in your children’s formative years. As you are already aware, the child’s first learning encounter is the home. According to Sigma Fred’s theory of learning, the child’s first interaction is the environment. Since the home is the first environment the child interacts with, parents should play active role in that environment to stimulate the learning experience of the child. If parents take active part in the activity of their children at home, they are motivated to develop their skills and talents early in life. Many of us (parents) ride on the platform of no time. I know how life in the city is playing a fast one on all of. A lot of parents have no time and relegate this important part of upbringing to day care attendants and nannies. But, you must know that your part in this scenario can’t be relegated to anybody. This is the time where the child is allowed to tell an interesting story he or she has learned or heard from the parent. The quiet ones would find it difficult to tell a story for the first time, but continuous encouragement will make the child’s develop the skills to tell his her own story. child, or children, a time will come when they will not be available when you need them. Why, because you are just an ‘artificial mum’ or ‘artificial dad” but no bond exist between you and your children during their formative years. I will respond and have a fruitful discussion with you. As a professional teacher with over two decade of teaching, I have observed that pupils who get the support of their parents are do well and develop interest in academic work. Dear parents, where are you? Your children want you to show interest in their school work. Don’t be too hard on your children because of time. Show interest in their school work and they will reciprocate your good gesture through academic excellence. Don’t provide only their physical needs but be in touch with what they bring home. You might not know anything about the subject because the curriculum keeps changing, but your mere presence is motivating enough. As a father of four young children, 10, 8, 6 and 4 years, I spend time every day to supervise them daily to make sure everyone is done with his or her homework before going to school the following day. ‘Where there is a will, there is a way’. We’ve look at 6 ways we can create school-like learning home environment for the child to facilitate the teaching learning. Play your part as a responsible parent and you can have the moral right to demand accountability from your child.